We were delighted to see that on the list of organized activities was daily early morning bird walks led by Evrim Tabur of Doğa Derneği, one of the sponsoring organizations of the Hasankeyf Ingathering. When we lived in the U.S., getting up at 4:30 to be at Mt. Auburn cemetery in Cambridge, Mass. at 5:00 to bird with the Brookline Bird Club was a spring occasion not to be missed. But now, living in a huge city without many green spaces has meant that we've sadly let birding drop from our agenda. 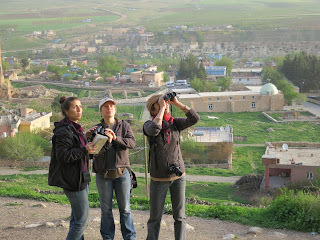 Birding in Hasankeyf, particularly with an expert on the local birds, was thus a real opportunity for us. 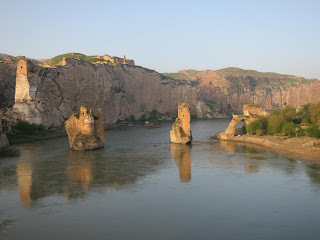 We met with our group on Saturday and Sunday morning, once climbing high in the cliffs above Hasankeyf and once walking along the opposite bank of the Tigris. The absolutely gorgeous scenery that greeted us at every stage of our walks was astonishing. At every passing minute, the morning light would subtly change the aspect of reflections on the water and shadows on the cliffs. We discovered that it was impossible to focus just on the birds and found ourselves mesmerized instead by this awesome beauty. In spite of our constant stopping and gazing at the scenery, thanks to Evrim's help, we were still able to at least identify the goldfinch, common swift, red-rumped swallow, hoopoe and, best of all, the endangered lesser kestrel. Of course, this is just the very small list of the huge wealth of birds that travel through and/or make their home in Hasankeyf. We were delighted to learn that on April 18, the International Day for Monuments and Sites, Hasankeyf was selected as one of the sites shortlisted for the "Seven Most Endangered" program of Europa Nostra, the final list to be announced on June 16. 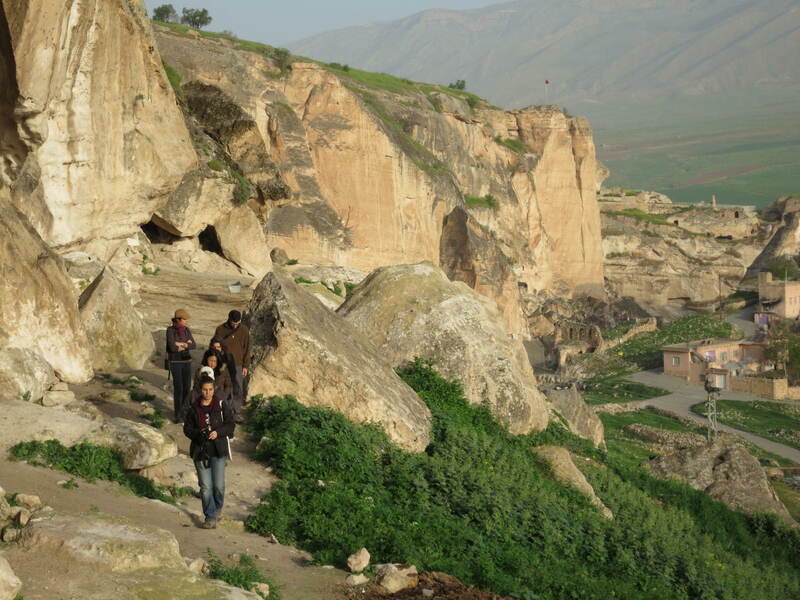 We can say that in addition to Hasankeyf's historical importance, its natural beauty and wealth is truly awe-inspiring. This latest endorsement of saving Hasankeyf from the Ilısu Dam project is a very important event and we hope that it results in public officials sitting up and taking notice. Hasankeyf Matters is grateful to Jolee and Mark for their tireless help and support.